Who Should Perform the Autopsy? More Guns: More Accidents, Homicides, and Suicides? Vincent J.M. Di Maio, MD, was a medical examiner and then deputy chief medical examiner in Dallas County, Texas. He then became the chief medical examiner in Bexar County (San Antonio), Texas from 1981 to 2006. He obtained his medical degree from SUNY Downstate Medical Center in Brooklyn, New York. He is board-certified in anatomical, clinical, and forensic pathology. He has over 40 years of experience as a forensic pathologist and has been recognized with several awards. He is a fellow of the National Association of Medical Examiners (NAME) and the American Academy of Forensic Sciences. 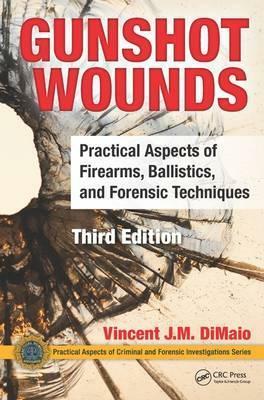 He has authored many scientific publications, letters, and medical textbook chapters, has written three other texts in forensic psychology, and is editor-in-chief of The American Journal of Forensic Medicine and Pathology.